Prime objective of this term paper is to analysis on Medical Transcription. Medical transcription is an allied health occupation, which deals in the act of transcription, as well as converting voice-recorded stories as dictated through physicians or different healthcare professionals, in to text format. These transcribed records could be patient’s history or perhaps a physical report, some sort of clinic note, consultation note between medical professionals, laboratory report or perhaps can be a letter. These records are utilized for purpose regarding archives, reference or for serving as a legal proof regarding medical advice. 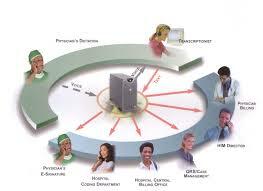 Main objective is analysis the general business activities of a Medical Transcription company.